It's that magical time of the year where presents are wrapped under the tree and family starts gathering together in preparation of Christmas Day. Since the husband and I got married, we started to embrace traditions of our own. One of which is gathering ornaments each year to add to our tree. Eventually, we hope to have a tree filled with ornaments that signify each year of our marriage. 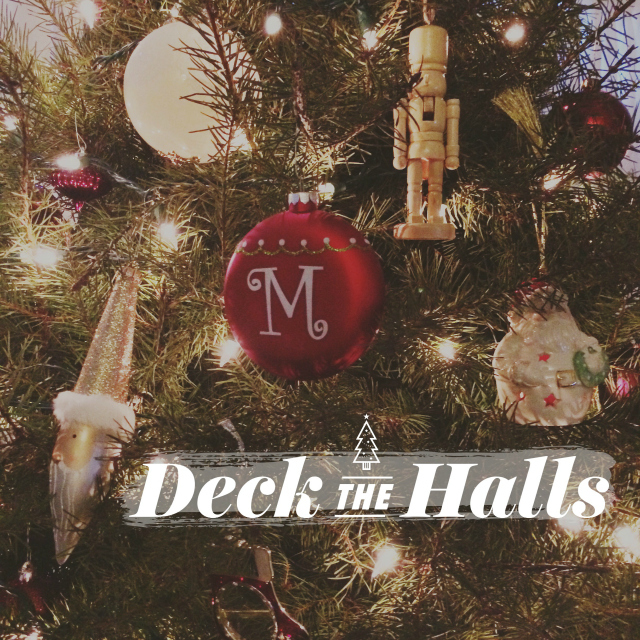 The ornaments are not necessarily fancy or expensive but they add to our personalized tree. I hope all of you are enjoying your holiday season. It sure has gone by quickly! Wishing you all the very best and a safe Christmas! Love the ornaments, and the tradition of adding a new one each year. I hope you are feeling well, and enjoy the holidays! Next year will be special, indeed! I love when ornaments have meaning. Makes it even more special. Merry Christmas Nancy. Such a cute way to do for Christmas! I hope you are having a Merry Christmas with your family! The ornaments on the tree are adorable! Get me thinking about starting this tradition too, thanks for sharing!